You’re thinking of running for office, which is great. But before you do there are five questions you must first answer. They’re the questions all winning candidates ask and answer as they prepare to get on the road to victory. 1. How many votes do I need to win? Believe it or not, you don’t need to get every voter to vote for you to win an election. You only need to get the required amount of votes to be victorious. In simplest terms, when the ballots are tallied, you need to be the candidate with the most votes. I use the term “the most votes” somewhat loosely as it various by type of election. Sometimes you will need to have 50% of all voters cast plus one to win – that’s a true majority. Other offices require that you literally have more votes than the other candidates but you don’t have to have over 50% to win. That’s a plurality. In races where voters can vote for more than one candidate, a plurality is common, as votes are being split between multiple candidates and a winning with a true majority is unlikely if not impossible. Find out what the requirements for your race are, what the projected turnout for your election will be, and historically how many votes winning candidates have received. From this you’ll be able to discern how many votes it will take you to win. 2. Which voters do I need as my supporters? Now that you know the number or percentage of voters you need to convince to vote for you, you need to determine the segment of the voters in your district that you need to have support you. Based on turnout estimates, how many other candidates are in the race, and what the vote threshold of victory will be, you can figure out exactly how many voters you need as definite supporters by Election Day. This is determined by looking at voting history and other demographics. Voters who vote in every election, highly likely or high propensity voters, are vital to target. They typically determine who wins and who loses local elections, especially when turnout is low. Figure out how many of these highly likely voters you need to convert into supporters to win your election. You also need to look at how many other voters that don’t vote as frequently that you need to have support your campaign. It takes a little more effort getting these voters to the polls, but in a higher turnout election, these voters can break your chances of victory even if the majority of highly likely voters is on your side. 3. What story will resonate most with these voters? To convince your targeted voters to become your supporters, you need a story that resonates with them. If you don’t have a winning story. You don’t have a winning election. You craft a winning story by knowing what issue or problem causes the greatest amount of concern, frustration, pain, or anxiety with your targeted voting universe. This is typically done by conducing a poll, but you can also figure it out simply by being in touch with your community but you need to beware of just trying your gut. Identifying an issue this way is anecdotal and not scientific. It’s better to test an issue you keep hearing with a poll to find out how many voters are worried or angry about this issue and to what intensity. Once you know that, put together your winning story and take it to these voters. 4. What are the most effective ways to reach these voters? The most effective way to win a local election is still face to face communication that comes from going door-to-door by walking precincts. Direct mail is also a tool that seems just as old fashioned, yet still produces amazing results. Almost every campaign I’ve won has happened by my candidates taking their winning story directly to the voters by knocking on the voters door and by sending those voters mail. Those methods continue to work. Telephone calls, emails, plus ads on radio, television and Facebook also are tools for telling your story to the voters, however each varies in terms of its overall effectiveness. None of these should be used in a vacuum but in an integrated voter contact effort that best benefits your campaign. The key in deciding which voter contact activities to undertake is to to know is which will put you and your story in front of the most voters who will actually vote. Once you know how many votes you need to win, which voters you need to support you, what your winning story is, and the best way to contact them, then you need to determine your campaign’s budget. A realistic campaign budget incorporates all of these components. It does not spend money on things that don’t help convert voters into supporters or on communicating with voters who won’t become supporters. Nor does a realistic budget skimp on things that are essential to winning. You don’t underfund your mail program because email blasts and Facebook boosted ads are cheaper. They are cheaper because you get what you pay for, and direct mail gets you much more bang for your buck at this current time. When and if that changes, I’ll let you know. So now that you know how much it will cost it’s time to commit yourself to raising the money to win your election. Fundraising isn’t fun, but all winning candidates do it, even if they loathe doing so. If you’re serious about winning you campaign and leading your community, then you’ll commit yourself to a solid fundraising plan that provides a way to meet your budget goals and effectively communicate your winning story to the voters. 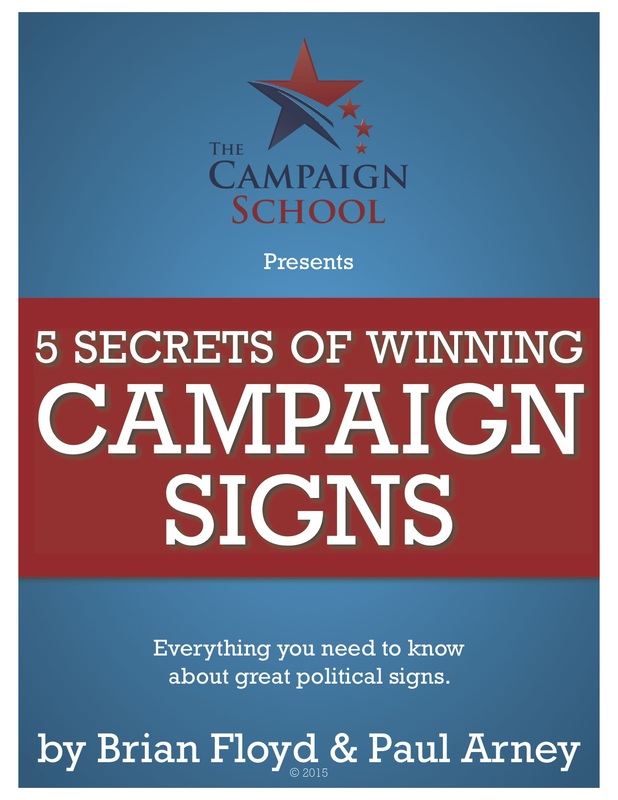 Once you’ve answered those five questions, you’re ready to get your campaign rolling. Winning will take a lot of hard work. It will deplete your time and your energy. You may even wonder why you ever decided to run for office. You’re doing it to make a positive impact on your community and that is a reward in and of itself that far outweighs the sacrifices you’ll have to make during your campaign.